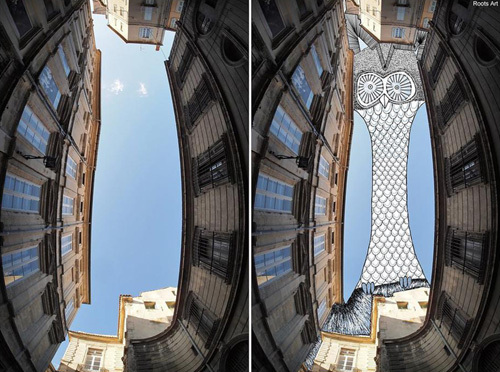 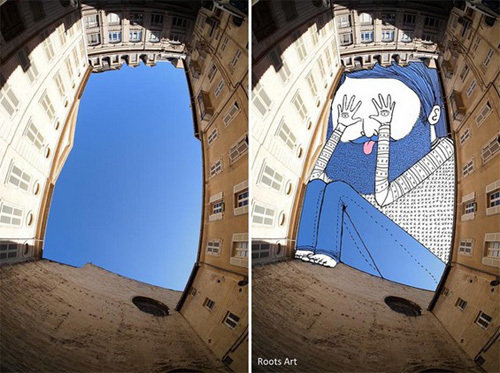 French artist Thomas Lamadieu creates whimsical figures and line drawings making use of the gaps between city buildings with sky in the backdrop. 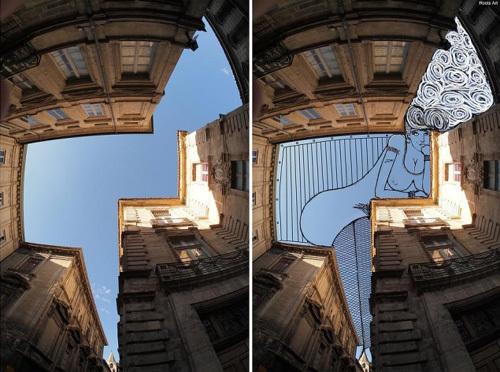 “My artistic aim is to show a different perception of urban architecture and the everyday environment around us, what we can construct with a boundless imagination”- Thomas. 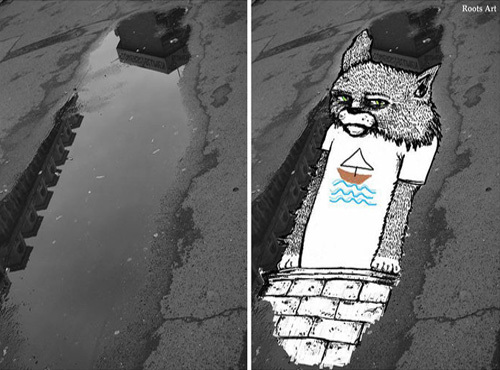 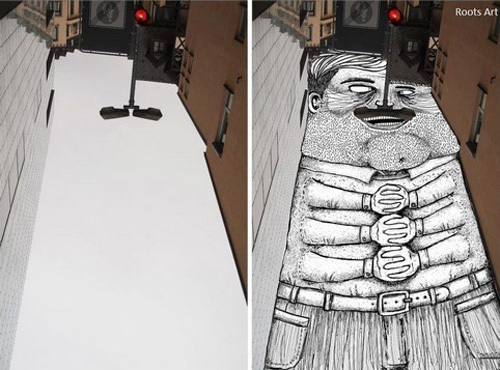 Soooo creative & sooooo awesome!